JOHANNESBURG (Bloomberg) -- A strike at carmakers in South Africa -- including Toyota Motor Corp., Nissan Motor Co., BMW AG and General Motors Co. -- continues amid talks with the National Union of Metalworkers of South Africa. The carmakers shut production Monday as about 30,000 workers stopped working to demand higher wages at plants operated by seven vehicle manufacturers. Numsa is asking for a 14 percent annual wage increase, improved medical benefits and shift flexibility. Employers are willing to offer 10 percent in the first year, the union’s General Secretary Irvin Jim said on Aug. 16. 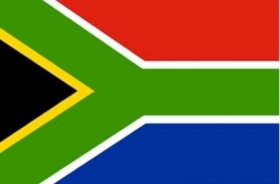 This compares with the South African Reserve Bank’s forecast for 5.9 percent average inflation in 2013. The strike is disrupting output in an industry accounting for 7 percent of the country’s gross domestic product, according to Department of Trade and Industry estimates. A prolonged stoppage of production will impact economic growth, foreign direct investment, and South Africa’s reputation as a supplier to the world’s vehicle industry, economists and the manufacturers’ association say.